The aim of the game is to score as many points as possible within the assigned time limit by collecting objects drifting throughout space. 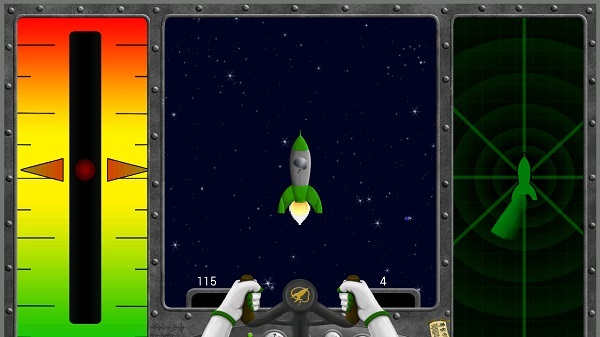 The player can turn their rocket ship by tilting their phone left or right. The speed of the rocket ship is controlled by the player’s level of attention, a NeuroSky propriety brainwave measure. The player can also use eye blinks to grab more points or at least I think this is the case, as you will see below. The main problem I have with Neuronauts is in how it trains players to use their brainwaves to control the game . 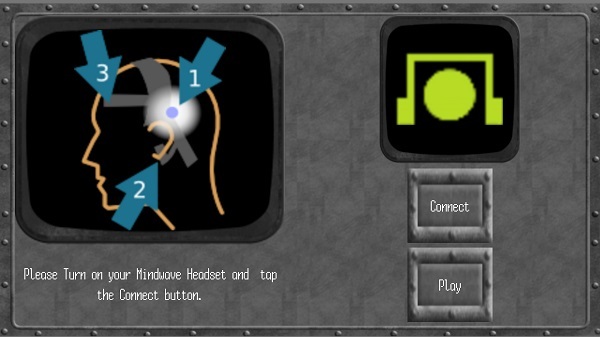 After the player’s headset is detected by the game the player is presented with an image explaining the game interface and all the game controls. Once the player leaves this screen the instructions are gone, forever! The instructions are literally a one-time only event. After running into trouble during my play through I decided to consult the game instructions but I couldn’t bring them back, neither in the app nor via a re-install. As the game expects players to not only of memorised the game controls but also learnt the inductions needed to manipulate the BCI controls (e.g. focus on an object in your head to increase your level of attention) your pretty much screwed if you’ve never played a BCI game before. As such I’ve a sneaking suspicion this game is actually a concept demo whereby on-site training would be provided by the game developer for new players. As a single player experience, I would advise avoiding this game. With minimal instructions its ill-suited for new players, and its not a particularly interesting game even if you can manipulate the BCI controls. However, if you have a second NeuroSky to hand it might be worthwhile checking out the local multiplayer game. The game does support Google Play based multiplayer however you’ll struggle to find other players. The game doesn’t inform the player when the NeuroSky is reporting a bad signal. Ensure you have a good signal before use. 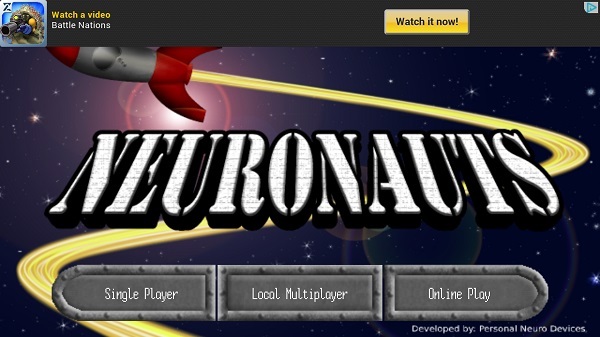 Neuronauts nicely supports the NeuroSky MindBand. There are 3 Bluetooth versions of the NeuroSky headset that I know of: the MindBand, MindSet and MindWave. Support for all 3 devices tends to vary and the MindBand tends to draw the short straw.